Poor Hubby has not been looking forward to this weeks weigh in, he has serious trust issues after the unexpected 5lb loss recorded last week. This week he has a gain of 2lb... but really it's what we thought might happen. Last week he was (I think) still quite dehydrated when he got weighed. The hang-over kicked in a couple of hours after. I don't want him to get disheartened though. So we looked at his chart. It has been a steady loss since the start, 2lb off one week, 3lb off the next, and then 2lb off again. We saw that if we ignored the big dip from last week that todays weight followed the same line on his chart. So he's happier now. However, this week my mum turned up with a very expensive and very delicious looking chocolate fudge cake - a belated gift for Hubby's birthday. We've not touched it, saving it for today after weigh in so we can have all week to work it off! This week I have lost 3lb, much happier after last weeks Stay The Same. I have made a few changes though, like ditching my beloved Nutella for the time being. I also missed out on my Costa Coffee treat this week - although I am planning to reduce my bucket of coffee to just a cup in future anyway. I have completed the Halloween Hotties Challenge I set up to lose a stone before Halloween, recording a 15lb loss since the start of the challenge! Life - being what it is - meant that I had to walk into town and back twice in one day earlier this week. Something I would never have contemplated before I started to loose weight. I though I would be exhausted, especially since I was carrying Freddie. But it was no difficulty at all! I even - thanks to my terrible memory and forgetting Tom's homework - had to climb our ridiculous hill twice between 8:45 and 9:00 one morning. I wasn't carrying Freddie (thankfully) but I managed it without being badly our of breath. I also had to carry my 2yo Georgie AND baby Freddie up the hill one day when George had fallen and banged his head twice resulting in him being too upset and sore to walk (this was not the safest thing I have ever done and don't recommend it, but needs must). So it seems that my fitness levels are improving. 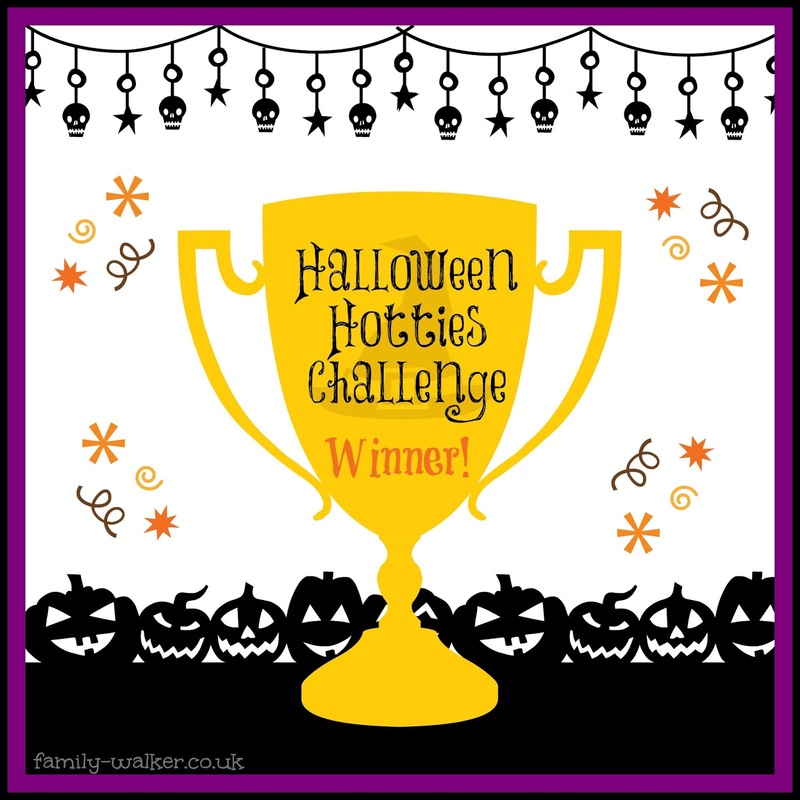 I completed the Halloween Hotties Challenge! I can walk to town twice in one day, while babywearing, without killing myself!